The triple option is equal parts fun to watch on TV (if ran successfully) and an absolute pain to play against with just one week of preparation. The scheme consists of just a handful of plays, but each play contains multiple options: a pitch to the half back, the full back up the gut, the fake for a deep pass – to name a few. At any given moment, the quarterback can burn you, even more so than a traditional run and gun offense. Three yards, 2 yards, 5 yards, first down, 1 yard, touchdown. The triple option can put you to sleep and catch you like a deer in the headlights on any possession. For as far back as I can remember, UC has never played a triple option team. 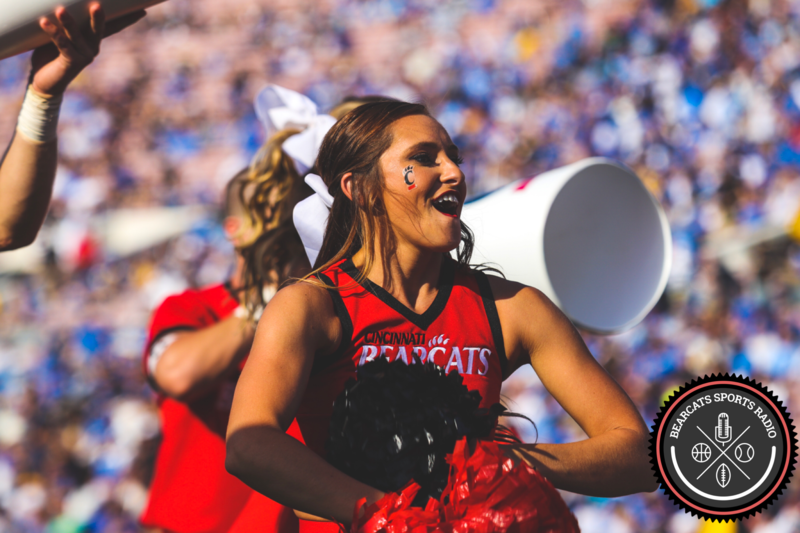 The Bearcats are 0-2 all-time against Navy, including losses in 1940 and 1956. Despite joining the AAC in 2015, Saturday marks the first conference matchup between the two schools and the first game in 61 years. The military academies all run the triple option to the best of their abilities. Year after year the intricacies of the scheme are practiced, repeated, and honed. Army put up a fight against Ohio State last week. Navy occasionally beats Notre Dame. Air Force took Michigan down to the fourth quarter. A few select programs have followed triple option suit. Georgia Tech recently played in the Orange Bowl and should have beat Tennessee in week one this year. Nevada, New Mexico, and even Auburn run variations of the same – flexbone, wishbone, and read option. Kenneth Va’a Niumatalolo (pronounced nee-uh-mah-tuh-lohl-loh) coaches the Midshipmen and has done so since 2007. The 52-year-old has 10 years in the program and many more to come. A hot commodity with a proven track record (79–42), Niumatalolo is firmly anchored in Annapolis, Maryland. A quarterback at the University of Hawaii, he is a very well-rounded head coach and loves the underdog role. If you haven’t watched the weekly documentary series, A Season with Navy Football, download the Showtime Anytime app and call off work tomorrow. The Hard Knocks style show tracks each game this season, and goes behind the scenes of the Naval Academy and Coach Ken. I cannot wait to watch the Bearcats episode next Tuesday at 10 p.m. The man wakes up every day at 3:14 a.m. Why? Because to win the national championship a team must win 14 games. And, like B. Fox craves donuts, he craves being the first car in the parking lot at the athletic complex. If someone beats him, he wakes up earlier the next day. Like any successful college head coach, Niumatalolo is insanely driven to do one thing – win. Hard work and early mornings pay off. The Midshipmen won the American West Division in 2015 and 2016. Coach Ken has won the AAC Coach of the Year Award both years as well. Navy is 2-0 on the season with a W over Lane Kiffin (aka Florida Atlantic for at least another week) and a narrow victory over Tulane. The small margin of victory over a subpar Green Wave squad gives UC hope, despite the experts in Vegas giving the Midshipmen an 11-point edge this Saturday. So How Do You Beat Navy? Coach Fickell stressed sound assignment football during his weekly press conference – much easier said than done. All 11 players must do exactly what they are told and each player most perform his assignment. This is not a game for hero plays and statistics. According to Fickell, “you have to practice without the ball so you’re assignment-sound.” Execution is key. You must be gap-disciplined. The linebackers will be rotated in and out frequently because the ground and pound and pace of the triple option could wear down UC’s defense. This game sets up as a Coach Brady Collins special. Collins is UC’s strength and fitness coach, and this summer’s fitness regimen could be the cardiovascular difference. If our defense gets gassed early, the Bearcats could be in trouble. Perry Young will have to sit the first half since he was penalized for targeting towards the end of the Miami game. This will be a huge hit – no pun intended. Side Note: Imagine having to watch that epic comeback on a crappy, little TV in the musty locker room by yourself surrounded by jockstraps and compression shorts? We’ll have to ask him about that when we interview him next week. Side Side Note: It’s high time Miami University fix the air conditioning in the press box. Preparation. Defending any unique offense requires lots of preparation. Whether the triple option or Chip Kelly’s highspeed Oregon offense – beating these teams require much more than five to six days of film watching and practice. You don’t want to focus all of the limited time at summer camp and fall practice on the unique offenses, but you also don’t want to ignore the schemes until game week. Coach Fickell and his scouts must navigate that difficult balance. A number of UC players, including Jaylyin Minor, have played triple option teams in high school. Bryan Wright even played Navy’s JV team in prep school. This helps, but certainly not enough to guarantee a Saturday win. Coach Fickell mentioned the Bearcats began to practice against the triple option during Camp Higher Ground sessions at night. The practices then continued during fall camp before the season started. Now it’s Navy week. During Tuesday’s press conference I looked to my right and the digital “beat Navy” countdown clock read “4 days, 3 hours, 57 minutes, and 3 seconds.” Tick. Tock. A strong week of preparation is required for this one. All of the Attention Training and offseason preparation must bear fruit. Saturday is a mental game, more so than nearly any other game on the schedule. Each defensive player must stay in their box and focus only on their individual assignments for four 15-minute quarters. The UC defense has not let us down this season. That same defense won the Victory Bell for the 12th year in a row in Oxford last week. Navy’s #9 junior QB Zach Abey isn’t running the option attack nearly as well as Keenan Reynolds. He’s thrown for 242 yards and just 7 completions, with 2 TDs and 2 picks on the year. More importantly, he’s rushed the ball for 343 yards and 2 TDs. Navy will only go as far as Abey. He is their leading rusher by far – 61 carries through 2 games already. The Midshipmen also have the 26th best total defense in the country, giving up just 294 yards per game. You know what helps their defense? Ball control and time of possession. Look for the new-found freshman running backs tandem of Gerrid Doaks and Michael Warren to pick up where they left off in Oxford. Hopefully they continue their growth trend by improving their offensive pocket protection, insulating against defensive pressure on QB1 Hayden Moore. The receivers must pick up their play this game, having let down Hayden and their teammates the first few games with major drops. We expect the coaching staff to set up a scheme to give Hayden some easy completions early in the game, rotating the running backs frequently. UC has struggled on offense and with field goal kicking this season. However, following the momentum of the Miami win, we expect Fickell to make great strides this week preparing for conference game #1. The game at Navy-Marine Corps Memorial Stadium will air at 3:30 p.m. Saturday on CBS Sports Network. We are taking the Cats in another heart-wrenching squeaker, 24-21.